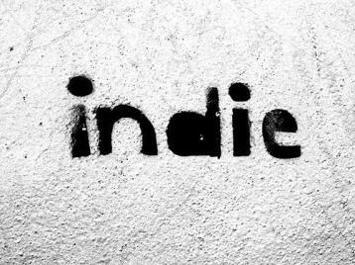 When is an indie not an indie? As major record companies become more involved with the independent label and distribution marketplace, it becomes increasingly difficult to draw the line between independent and major. But each year, when Billboard compiles charts for this issue, we make the call. The determining criterion: The product must be sold exclusively through independent distribution. Ownership by a major does not disqualify a label from consideration. As two examples, Tommy Boy is owned by Warner Bros., and PolyGram is the parent company of Island’s independent labels (i.e. 4th & B’way, Mango). But, the titles from such labels that appear on these charts were sold through indie channels. Conversely, more and more indie labels–like Critique and Radikal–have worked out distribution deals with majors. In the cases where indie titles were sold by a major, those titles were excluded from these lists. There are some arrangements by which a conventional single is sold through majors, while the maxisingle formats are sold through indies. In order to appear on the independent label singles charts, all configurations of a title must be sold through independents. An act that qualifies for one independent chart might not be eligible for another. On the singles charts, K.W.S.’s “Please Don’t Go” is included, because it was sold through indies. But, the group’s album was sold by PolyGram Group Distribution, and thus is ineligible for the other charts. The involvement of a major label’s promotion staff does not disqualify a single, so long as the title in question is sold through independents. This is the case with Dr. Dre‘s single. Similarly, Interscope‘s involvement with this project does not remove Dre from the independent album charts, because his album is sold by Priority. These charts represent a 52-week span, from the issue dated Feb. 22, 1992, to the one dated Feb. 13, 1993. In addition to the charts included in last year’s Indie Spotlight, we have added a Top R&B Singles chart. The lists are based on the same methodologies used to compile the year-end charts. With the exception of the charts that are based on The Billboard 200 and Hot 100 Singles, the results are based on a point system created by a complex inverse relationship to each week’s chart position. For the Top Albums list, ranks are determined by the sales these titles registered during the time they appeared on The Billboard 200. The Pop Singles list is based on each title’s accumulated weekly point totals on The Hot 100, which factors in sales and airplay. Sales data for The Billboard 200 is provided by SoundScan, which also supplies the sales information used in the formulation of Hot 100 Singles. Major-market airplay data on Hot 100 Singles is provided by Broadcast Data Systems. For the last two-and-a-half months of the tracking year, BDS and SoundScan provided data to the R&B charts.